Home → Blog → My Kitchen Tap is dripping…. My Kitchen Tap is dripping…. If it is dripping from the Spout then it is most likely that you need to change the valves (one or both) and / or the brass bush ring (but usually its just the valve) hot or cold. Also this guide here might help How to tell which Valve needs replacing Hot or Cold or Both? Here is our Spare Tap Parts Section by Brand. If you know the Brand of your Tap, then click on that Brand. Each Brand Section lists the Spare Tap Parts by Tap. You can see which Tap Picture resembles your own, and click on that to take you to the Spare Tap Parts in store for that particular Tap. Due to the high volume of Spare Parts we might have a part in store but not listed on the website. 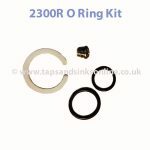 Please EMAIL us if we stock Spare Parts for your Tap if the specific part that you require is not listed. 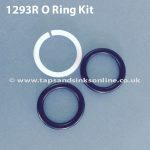 If you don’t know the Brand of your Tap or do not have the installation guide with Spare Parts listed, then we can still help you fix your Tap. 3. Picture of your Valve. You might find this guide 7 Easy Steps to replace Kitchen Tap Valve useful in removing your valve in order to measure it. Don’t forget to also email us a picture of your Tap. 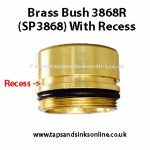 We stock a wide range of compression valves for Kitchen Taps which you can find here. 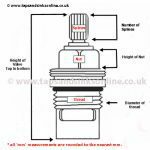 All the measurements, images and details are there for each Kitchen Tap Compression Valve to assist you in finding the correct Compression Valve for your Tap. Our Blog Post 'My Kitchen Tap is dripping' is very useful to explain and assist you in fixing your Kitchen Tap. If you want help, please read this blog post HERE first and email us the relevant information for us to help you. Please note that due to the high volume of Spare Tap Part queries that we receive, and the information that we will require e.g. Tap Pictures etc, ALL spare part queries are dealt with via email. We do not answer spare part queries via telephone. For any query EMAIL and our Team will contact you as soon as possible. 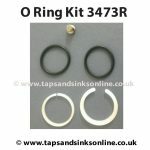 Hi, If you wish to email us sales@tapsandsinksonline.co.uk a picture of your Franke Tap together with the installation guide that is giving you this part number, we will gladly help you. Tap leaks and when another tap in house is opened, it makes a brief wailing sound and then it streams a short blast of water. Howden Swan. Hi Margaret, usually a tap leaking points to an issue with the valves in your tap. You could have a separate water pressure issue, but if this leak has only been recent i.e was not there from the start, then I would recommend replacing the valve that is leaking (i.e hot or cold) and see if that sorts the issue. Here is the link to all the Howden Tap Parts that we do and you can check to see if your own tap is there (as there are many Howden ‘Swan’ Taps). 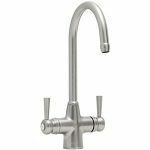 If it is not there, then email us a picture of your own tap and approx purchase date .